Hailed as ‘one of the finest historical novels of recent years’ by Sarah Perry, this is an unmissable exploration of art and time shot through with a contemporary narrative of search and discovery. It is 1622. Summoned by his king, Philip IV of Spain, painter Diego Velázquez departs his native Seville to attend the royal court of Madrid. Velázquez’s arrival marks the beginning of a complex relationship between artist and subject that will endure over the next 38 years. Over that time, the painter bears witness to the shifting fortunes of a court gradually collapsing under the weight of its own excess. At storm's centre sits the king, a man entombed by responsibilities to his people and his own growing grief. The years pass and still no heir, his sadness submerged in a sea of advisers and courtiers. 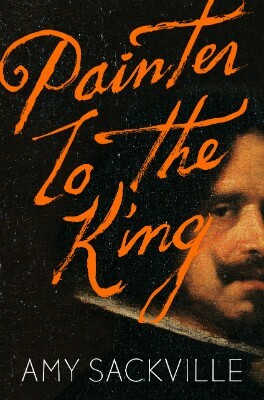 Through it all Velázquez observes and paints, recording the king and the daily drama of the court. His position is unique, existing just outside the maelstrom of kingship but still seeing all. A portrait both of an artist and the act of art-making, the author of the award-winning The Still Point and Orkney presents a brilliantly-realised exploration of art and time, shot through with a contemporary narrative of search and discovery. This is the story of Diego Velazquez from arriving to at the court of King Philip IV of Spain to his death, his relationship with him as an artist and as a human being. There is a wonderful lyricism to Sackville’s writing, which only enhances the vibrancy of this atmospheric story set in the court of King Philip IV of Spain in 17th Century Spain.